They were the national recipients of the 2010 College Music Society’s Yamaha In-Residence Fellowship where they organized and performed in a series of lecture-recitals for children, college students and senior citizens in Miami, FL. They co-wrote an article describing their concert series which was published in the CMS's May newsletter. They recorded a duo-piano sonata which was released in the album “Serenader: Songs and a Sonata by Celius Dougherty” (2007). As entrepreneurs, they co-wrote a business plan which was awarded second prize, best written business plan, and best entrepreneurial spirit award in the 2011 University of Miami Business Plan Competition. They co-founded Superior Academy of Music in Miami. Their Academy was featured twice on national television and its students have gone on to win local and state Certificates of Excellence and have also entered Universities under full tuition scholarships. Fabiana and William have pursued all their degrees together under full tuition scholarships. 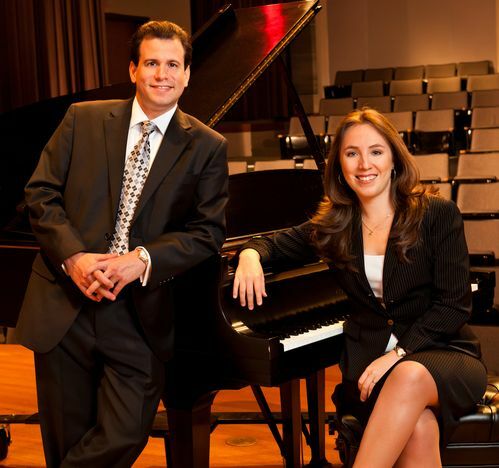 They hold Doctorates in Music in Piano Performance from the University of Miami, Masters of Music and Artist Certificate Degrees from Southern Methodist University, Bachelor of Arts in Music from the College of Charleston, and Professional Degrees as Pianists and Piano Teachers from the National School of Music, Cuba.